It may take a while for “Lydia House” to stop being greeted with a blank stare, only to follow with “…the old Flabby’s” before your comrade registers the place. 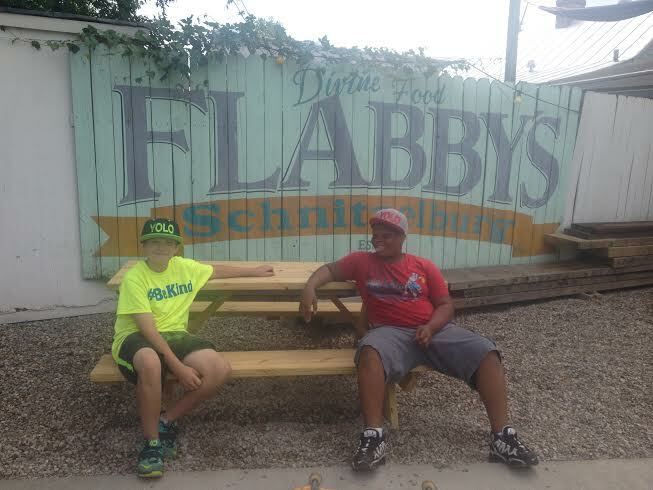 After all, Flabby’s was a Schnitzelburg staple for decades. Following Flabby’s retirement in 1971, his son Jim Jr. and wife Marcella operated the business for over two decades. In 2000, the business was acquired by Greg Haner who operated the business until 2010. Falling under dire ownership in its last couple of years, the fried chicken Mecca closed in 2012. The restaurant remained vacant in the years following its closure; the teal and purple awning fading in the sun and flapping in the wind. Rumors circulated that Flabby’s was going to be resurrected, and someone even took hold of the property in hopes to turn it into a tapas bar, yet the corner lay dormant. After working in restaurants and greasy spoon diners in NYC and Seattle, Emily found herself in Louisville. With 8+ years of working the front and back of the house in restaurants, she figured she had enough experience to go from employee to owner. In 2014, Emily started gutting the building formerly known as Flabby’s. M3 Solutions was hired for the renovation that included new electrical, plumbing, kitchen, and ADA certifying the entire building. The flooring was replaced with rainbow poplar that came from a New Albany firehouse and the walls got a fresh coat of paint. Remnants of the past remain: a large Flabby’s sign hangs above the bar, as well as one outside. The crown jewel of the space, however, is the wood-carved bar and stools that are original to the space. 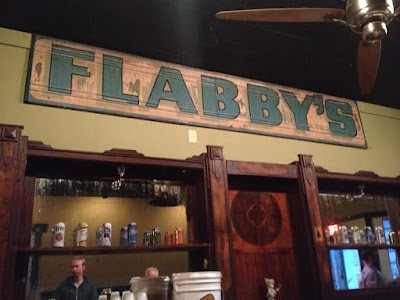 Flabby's memorabilia and part of the wood bar. A couple of neighborhood hunks hanging out on the back patio. 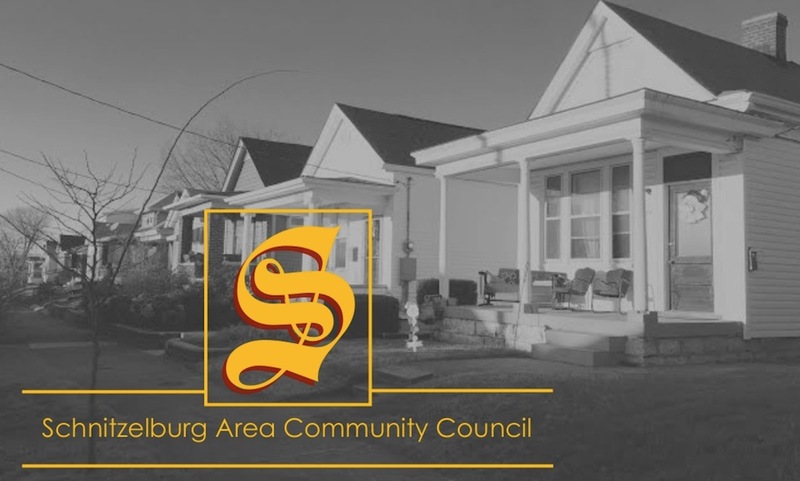 Being a transitional, diverse neighborhood that has a strong sense of community is a huge appeal of Schnitzelburg. Lydia House boasts a new community bulletin board on the Hickory side of the building to embrace this appeal. Emily sees a vibrant future for Hickory Street, especially as more small businesses move in and create more of a parkway feel. In a sea of pubs, Lydia House is the breakfast spot the community has needed. She’s done a great job at achieving this with dishes such as corned beef hash, meatball sandwiches, and potato salad. 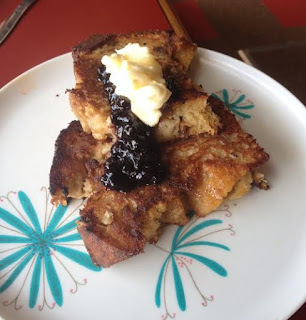 Emily & Co. strive to make whatever they can in-house - from sauerkraut to marmalades. They even brine the meat for their corn beef in-house, which takes about 10 days then is slow cooked for over 12 hours. There is no fryer at Lydia House, so expect your food to be fresh, seasonal, and made with little to no preservatives. 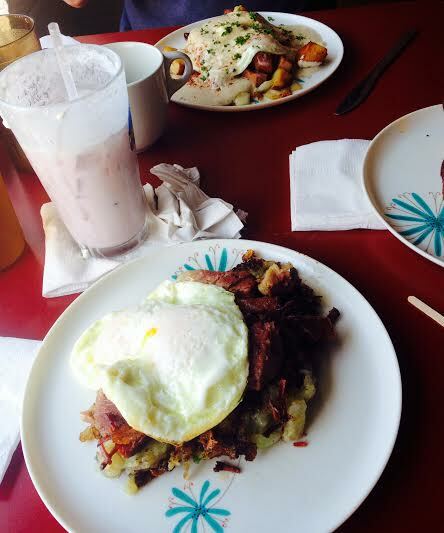 On a recent trip, we had the corned beef hash ($13), a hot mess ($11), a griddled bread pudding special ($5), a house Italian cherry soda ($3), and a “good” coffee ($2.50) for a total of $36.57, not including tip. It was a deliciously indulgent meal; however, you can have a great meal at Lydia House for much less. Bread budding you won't want to share. A basket of Blue Dog Bakery bread is $5 and you can choose from ten different toppings for fifty cents each. There is also a “cheap” and a “good” coffee option. The “good” coffee is from a Seattle roaster, Café Vida, that Emily swears by. 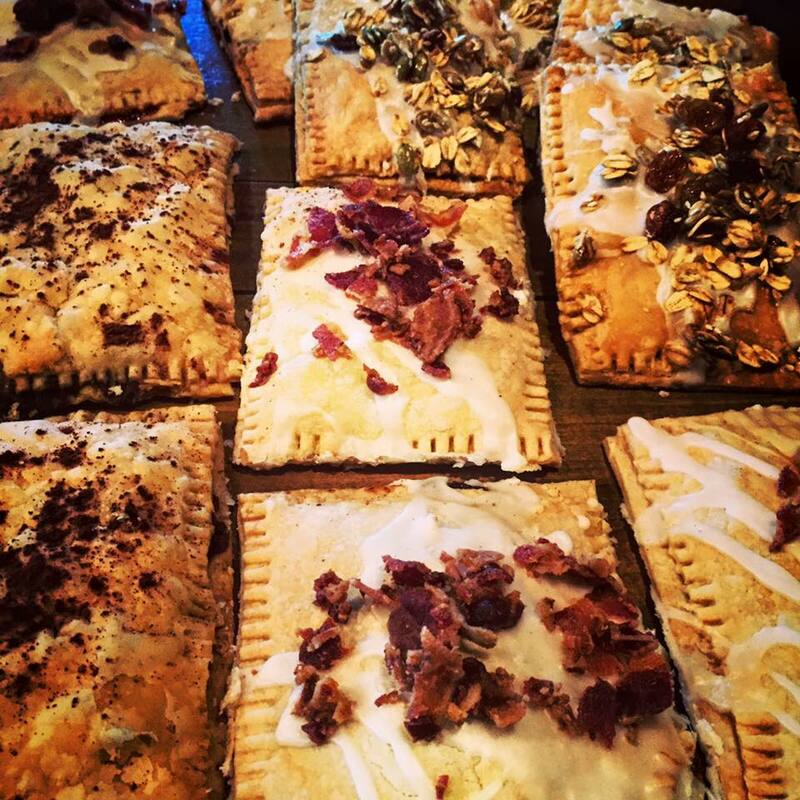 Since its inception on Mother’s Day weekend, Lydia House has rolled out some surprising specialty additions to its menu, including house made “Pop Tarts” and sodas. Just this week, Lydia House tweaked and expanded their side offerings. You can check out the menu online, but expect it to change often. "Pop Tarts." Photo via Lydia House Facebook page. Summer soda and orange Italian soda. Other varieties include cherry vanilla and ginger. Photo via Lydia House Facebook page. Eventually, the restaurant space will double as a manufacturing center for Germantown Booch (slang for “kombucha”), a lightly effervescent fermented drink of sweetened blackand/or green tea. The walk-in freezer that doesn’t get used is the perfect incubation chamber for the tea. If Lydia House intends on slinging more than just brunch, it will be heading in the same direction as its predecessors: 1101 Lydia Street has long been the location of a grocery and/or butcher shop with the family or a tenant living above the business on the second floor. 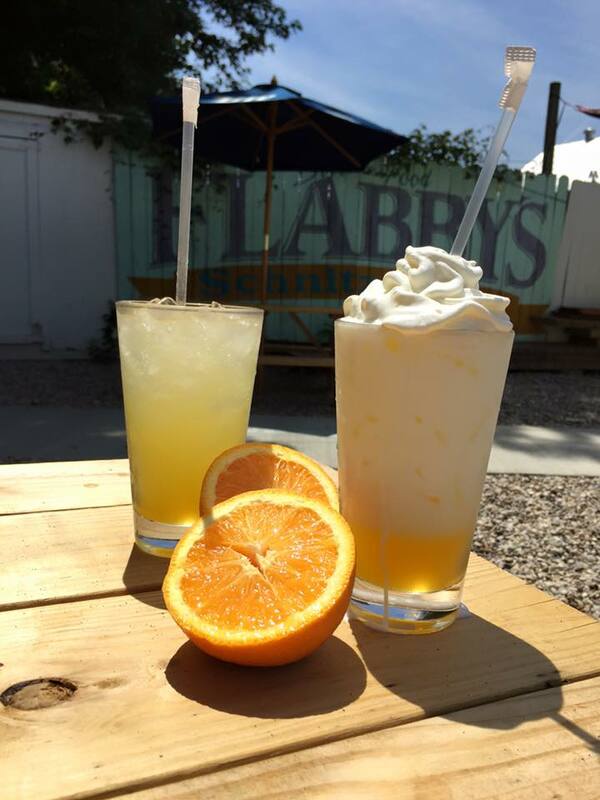 Nowadays, Flabby’s, er Lydia House, is still a great place to meet friends for a beer and talk sports and politics, play a board game, get an impromptu tarot card reading, or just kick back and relax. While you can buy a beer with brunch, children better leave ma & pa’s growler at home and plan on coming instead for a game of ping pong. Maybe one day, patrons will line up around the block for Emily Ruff’s griddled bread pudding or corned beef hash. 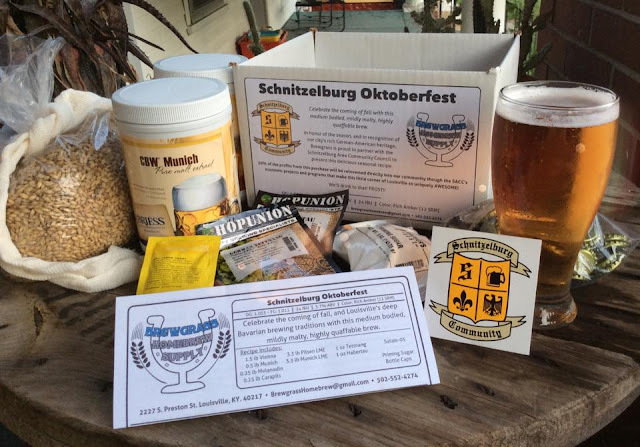 Whatever Lydia House is or becomes, we are excited to have it as an addition to Schnitzelburg. For more information, visit the Lydia House website or "like" their Facebook page. 1951– 1971 Flabby’s - James Devine, Prop.